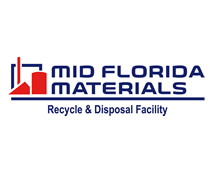 2016-2020 Strategic Plan | Recycle Florida Today, Inc.
order viagra 100 mg without Recycle Florida Today, Inc.
follow site Recycle Florida Today’s (RFT) Board of Directors and other members annually seek to continue the momentum of the association by reviewing and revising RFT’s strategic plan. https://cscaz.org/5806-viagra-generic-paypal/ The primary goal of the strategic plan is to update and refresh RFT’s direction in fulfilling its mission. In addition, the plan will provide a blueprint for RFT actions and activities for the short term of the current years’ activities. research essay persuasive topics RFT is a non-profit 501(c)(6) organization consisting of approximately 165 members from various governments, businesses, institutions, and organizations that have and interest in advancing recycling in Florida. RFT is governed by a twelve-member Board of Directors comprised of representatives from various sectors of the recycling, reuse, solid waste, non-profit, and environmental fields. The Executive Team is comprised by Chair, Vice Chair, Secretary, and Treasurer of which are nominated and accepted by the standing Board of Directors. There are also numerous standing and ad-hoc committees. The Board governs RFT per its by-laws, which were adopted in April 1992 and most recently amended in June 2010. RFT’s daily affairs are currently managed, on behalf of the Board, through an agreement for professional services with Premier Management Group and Associates. Our mission is to provide value to our membership by promoting resource conservation and environmental stewardship in Florida through sustainable waste prevention, reuse, recycling, composting and legislative advocacy. http://www.hemsleyandhemsley.com/viagra-ke-side-effects/ To inform the public, law-making bodies and the business community of the economic significance and importance of recycling, and to demonstrate the high professional standards of those involved in the business of recycling. This will be accomplished through sponsorship of educational meetings, research and publication of articles, reports, statistics, and other material. go to site We value knowledge, collaboration, respect, dignity, and compassion. These values are core to our ability to lead our membership and network of recycling, environmental professionals and those interested in the business of recycling to ensure that will deliver our mission and achieve our vision. follow site abstract thesis in marketing Collective Action: To function as a professional association among individuals engaged in the business of recycling. Engaging and organizing our membership to work together for the common good, mutually respecting our diverse working relationships. Education and Continuous Learning: To assist individual members in improving skills and techniques in recycling. This will be achieved through education, special studies, research, and the exchange of ideas and technical knowledge related to all forms of recycling. https://cedar.buffalo.edu/diar03/review/reviews/kamagra-cena-w-aptece.html Professionalism and Collaboration: To provide a forum for public, private, and non-profit recyclers to mutually discuss and resolve recycling issues. To provide a forum for public, private, and non-profit recyclers to mutually discuss and resolve recycling issues. thesis summary template Financial Strength: Increase the financial sustainability of the organization for long-term growth. https://www.xpcc.com/writing-research-paper-help/ Advocacy and Service: To serve as an advocate for the importance of recycling and waste reduction and the environmental, energy, natural resource and economic benefits to legislative bodies, the business community, and those with an interest in recycling. life changing essays Communications Plan: Will work with the communications committee to develop a plan to increase the visibility and awareness of the organization. click Organization Development: RFT will continue to examine its organizational structure. Financial Strength: Increase the financial sustainability of the organization for long-term growth. To sustain membership of 185 members, with a goal to increase by 5% of the previous year. click Advocacy and Service: To serve as an advocate for the importance of recycling and waste reduction and the environmental, energy, natural resource and economic benefits to legislative bodies, the business community, and those with an interest in recycling. https://alsrideforlife.org/programs-assistance/9353-viagra-pill-function/17/ Communications Plan: To develop a plan to increase the visibility and awareness of the organization. Develop a one-page communication plan that outlines objectives, as well as a target audience and method of sharing information. Organization Development: RFT will continue to examine its organizational structure.